A new simplified video surveillance management solution for educational institutions. The solution aims to make it easier for schools, colleges and universities to respond quickly and effectively to security events, and provide a safe and secure learning environment to underpin the skills development needed to sustain future economic opportunity. The new solution provides an intuitive user interface for viewing live cameras, quick access to video archives and an integrated mapping interface, together with video paging capabilities. 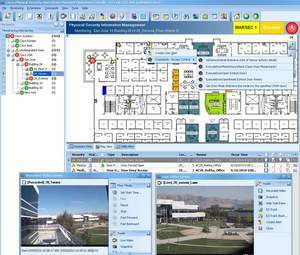 A unified Command and Control application for city and enterprise operations with the introduction of Cisco Physical Security Operations Manager software, enabling interoperability across video surveillance, access control, and incident response. The solution helps cities, agencies and enterprises quickly detect incidents, correlate and prioritize key information enabling faster & more effective collaboration among incident response personnel. Cisco Physical Security Operations Manager forms an integral part of Cisco's Safety & Security Solution which is a foundation element of Smart+Connected Communities. Introduced the industry's first medianet-enabled video surveillance camera that can be automatically configured on the network to simplify and speed deployments across urban and enterprise environments. 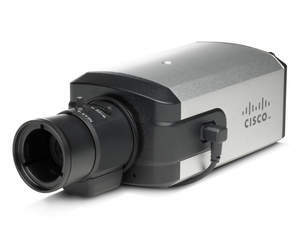 As part of Cisco's wider strategy to bring medianet capabilities to all video endpoints, the Cisco Video Surveillance 4000 Series IP Camera fully supports Cisco's medianet-ready architecture for video, dramatically reducing the time and skills needed to configure cameras once plugged into Cisco Ethernet switches. A medianet automatically optimizes video experiences for the network, the device and the access format to dramatically simplify deployments. 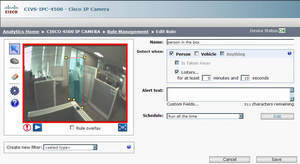 A Cisco video analytics solution that runs directly on the new 4500 Series IP HD cameras. The solution provides a highly-scalable way to analyze and take actionable decisions across large numbers of cameras deployed in the urban environment or the enterprise. Cisco's edge-based analytics solution uses software running on each camera, and provides an innovative way to scale deployments without the need for a dedicated centralized server-based analytics solution. 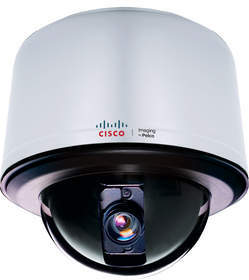 A new Cisco 2900 Series of pan, tilt and zoom (PTZ) Internet Protocol Dome cameras with full-feature indoor and outdoor support for urban environments. The cameras offer 360-degree continuous pan rotation, H.264 video compression, and are designed for superior performance, high image quality, and ease of deployment. Finally, new H.264 analog video encoding capabilities for the Cisco Physical Security MultiServices Platform for Video Surveillance, which provide a rapid way to integrate analog cameras already deployed across the urban environment. The new solution enables up to 48 analog cameras to be connected in a two-rack-unit system and aims to provide customers with a migration path to IP to preserve their investment. "Cisco's open-platform approach to safety and security was a key factor in our thinking as we looked to integrate physical security at Georgetown County's new Judicial Center and Detention Center alongside upgrades to our Cisco Unified Communications Manager, wireless and data security technologies. As a result of the project, we have been able to significantly improve communications between the court system, public safety and IT departments and enhance public safety throughout the county." "The vision that the City of Holyoke has set out with Cisco to revitalize the city as a Smart+Connected Community places greater emphasis on developing a safe environment for citizens both in terms of the infrastructure and connectivity needed to support our emergency response services and also in terms of maintaining the safe and reliable delivery of energy to our customers. Working in conjunction with the Holyoke Police Department, HG&E is already engaged in efforts to both decrease crime and improve the quality of life in our City. As both a utility and a service provider to the city, we believe Cisco's urban security solutions and vision for video will play a key role in helping us achieve the community's goals." Craig Cotton, senior director of Product Marketing for Cisco's Physical Security business unit, discusses the innovations in Cisco's Safety and Security solutions portfolio. Cisco's Smart+Connected Communities initiative helps transform physical communities to connected communities and achieve economic, social and environmental sustainability. Cisco works with customers, from idea to execution, using vertical solutions built on the network as an open, integrated platform, a broad ecosystem of partners and innovative business models to change how communities are designed, built, managed and renewed. More information about this initiative can be found at www.cisco.com/go/smartconnectedcommunities.